The Capital Summertime Ball with Vodafone is back, and returns to Wembley Stadium on Saturday 21st June. Here's a few clues linked to each of our confirmed acts. Can you guess who they are before the big reveals? 1. So here goes with clue number one, but who is it? 2. Each of our 2014 stars has a couple of clues featured in this gallery. 3. We'll be revealing their full identities all this week on the Capital Breakfast Show. 4. It really is our BIGGEST, BALL... EVER! 5. Tickets will be on sale very soon BUT, there is a way you can get them early. 6. Simply download the Capital App or register as a Capitalfm.com VIP to access our exclusive pre-sale. 7. You'll get to secure your place at the Capital Summertime Ball with Vodafone FIRST. 8. We're flying in some of music's BIGGEST stars to perform just for you right here in the UK. 9. We'll be taking over one of the UK's most iconic venues for a day of unmissable music. 10. You could be joining 80,000 other music lovers for what is GUARANTEED to be the party of the summer! 11. This year's line up have had a whopping 30 Vodafone Big Top 40 No.1 hits between them. 12. They also have over 78 MILLION Twitter followers combined. 13. AND... over 147 MILLION Facebook fans. 14. BUT it gets even bigger than that with this world-class bunch. 15. Our 2014 line-up have combined music video views of over 6.2 BILLION! 16. One of our acts probably needed a new shelf for all their Grammy awards. 18. This year is our SIXTH Capital Summertime Ball. 19. 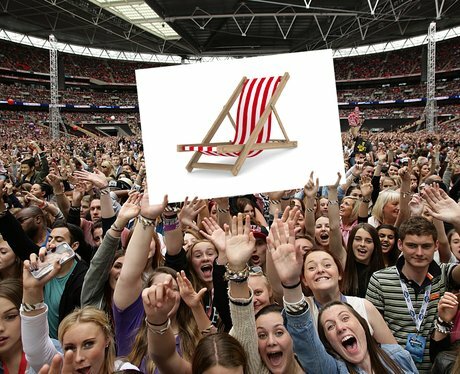 Our first #CapitalSTB took place back in summer 2009. 20. Our Balls just keep getting bigger and BIGGER! 21. Don't forget to comment below with your line-up guesses from these clues. 23. We are just days away from finding out who is performing at the Capital Summertime Ball 2014. 25. Last year we saw AMAZING performances from Taylor Swift, Will.i.am, Disclosure and Robbie Williams. 26. Could any of them be about to return to join our class of 2014? 27. Maybe we'll see a day of #CapitalSTB debut appearances? 28. Either way it's a show which will be bursting with Vodafone Big Top 40 chart hits! 29. We'll be revealing all the details as they confirmed right here on Capitalfm.com. 30. Set your alarms and tune in to the Capital Breakfast Show all this week. 31. And make sure you download the Capital app or register as a VIP for EXCLUSIVE pre-sale. 32. The Capital Summertime Ball 2014 with Vodafone. Our BIGGEST, BALL... EVER!